Warung Mina and their quest to see how many good foods they can fit onto one table continues. Warung Mina demands you replace your fear of the unknown with curiosity, and also seafood. True stories of the consummate Warung Eater: a popular warung is not entirely unlike eating in a fish tank, wherein you sit and dine under the eyes of the ravenous people waiting for a table behind you. Where you can’t eat peacefully because you’re being watched. Where the slightest eye movement or facial twitch could betray your intention to get the check, and set off a chain reaction of people waiting to grab your spot. 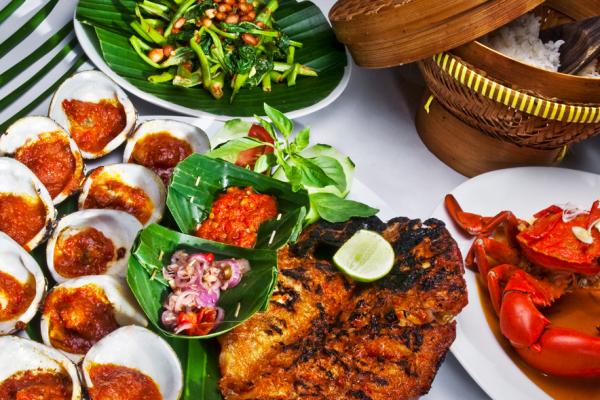 Warung Mina not only serves excellent seafood, it serves ambiance and place. 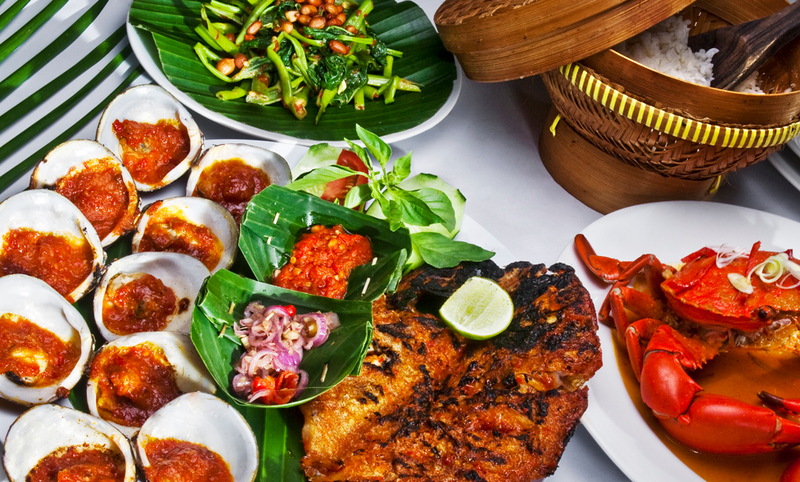 Located in Denpasar, Warung Mina is a place to go when you want to try seafood dishes with a Balinese street-food twist and spend a couple of hours enjoying them in peaceful splendor. Its not a place that should be fit in your schedule, its a place that negates your schedule under plates and plates of seafood goodness. Fell in love with a lele. The kitchen at Warung Mina considered the ocean, and decided that there are very few things in it that they cannot make delicious. 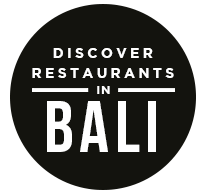 They serve all kinds of sea creatures, freshly caught in Balinese waters, prepared with the simple swagger that is the south island’s culinary currency. The taste is direct and homey to the point of being startling; it is just so rich and so good that it almost hurts. All of which is just a setup for talking about their Megibung. 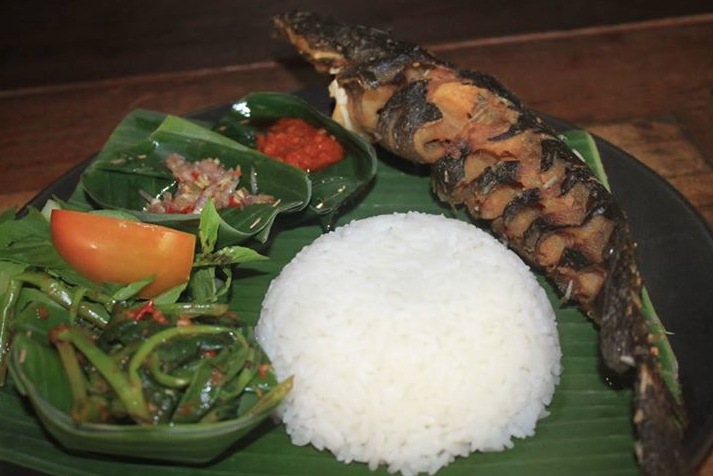 Megibung is a mix of everything good, fresh, grilled, fried, and otherwise; fried and grilled gurame, pepes lele, fried tofu, roasted eggplant, kangkung plecing, matah sauce, and of course, sambal. Sambal is mandatory. If the names stated here are not familiar to you, then that is your reason to try. As the officially motto of Tween Tumblr states: ‘Replace fear of the unknown with curiosity.’ Everybody has to start somewhere. Start your Indonesian journey here at Warung Mina. Replace your fear of the unknown with pepes lele. Live with arms wide open, and mouth full of Balinese catfish. The post Seafood Soulfood at Warung Mina appeared first on Qraved Journal.